Doerries is the founder of Theater of War, a project that reclaims the power of the ancient Greek texts and presents readings to military and civilian communities—service members, veterans, caregivers, and families—to initiate conversations about the the visible and invisible wounds of war. Plays like Sophocles’ Ajax and Philoctetes convey the story of the warrior, but also read like textbook descriptions of wounded warriors, struggling under the weight of psychological and physical injuries to maintain their dignity, identity, and honor—in other words, they speak directly to the men and women who today live lives of mythological proportions. Hailed by the Department of Defense as a “revolutionary public health campaign,” Doerries’s groundbreaking Theater of War has presented over 350 performances of Sophocles’ Ajax and Philoctetes for military and civilian audiences throughout the United States, Europe, and Japan, performing at military sites as diverse as the Pentagon, Guantanamo Bay, Walter Reed Army Medical Center, homeless shelters, high school auditoriums, theaters, and churches. In fall 2016, Doerries unveils two new traveling productions that ask deeply relevant questions about how we should respond to unthinkable violence, and how we can all work together—as citizens, family members, friends, and neighbors—to stop violence from happening in our communities, before it’s too late. With titles that will change according to the city in which they are performed, the inaugural projects based on ancient Greek tragedies are Antigone in Ferguson: Sophocles’ Antigone showing us what happens when personal conviction and state law clash, and violence ensues; and Hercules in Brooklyn: Euripides’ Madness of Hercules showing us an unthinkable act of violence commitment by an angry man with an invincible weapon. These two dramatic readings, followed by dialogue with the audience, serve to foster awareness and understanding of the lasting impact of gun violence upon individuals, families, and communities—with compassion, understanding, and positive action the end goal. 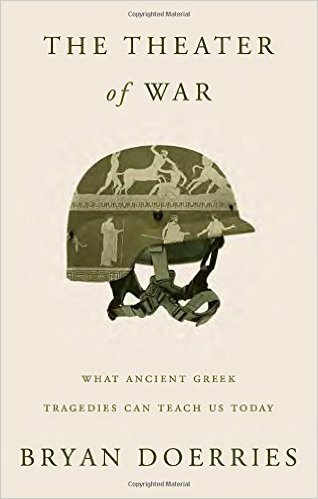 In 2015, Knopf published The Theater of War: What Ancient Greek Tragedies Can Teach Us Today, along with All That You’ve Seen Here is God, a volume of Doerries’s translations of ancient Greek tragedies. Gary Trudeau wrote, “Bryan Doerries’s passionate search for meaning in ancient texts has led him out of the dusty stacks of scholarship into an arena of ecstatic public engagement. 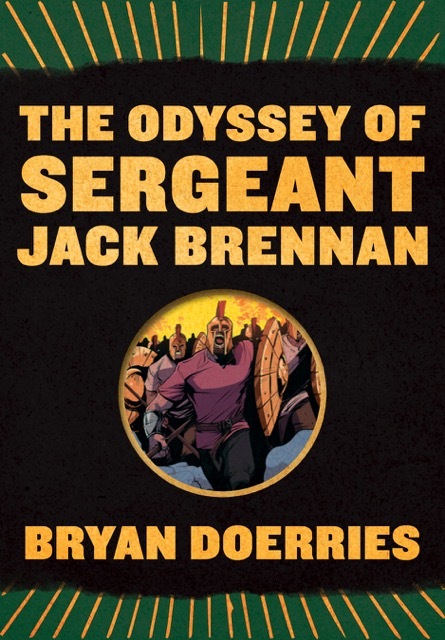 He has created a theatrical experience that has lifted countless audiences out of isolation and into profound community.” His graphic novel, The Odyssey of Sergeant Jack Brennan, an adaptation of Homer’s Odyssey as told by an infantry Marine to his squad, was published by Pantheon in 2016. Bryan lectures on his work at cultural venues throughout the world and, in recent years, has taught courses at Princeton University, the Stella Adler School of Acting, and the Bard Prison Initiative. He is a proud board member of the Alliance for Young Artists & Writers, Arts in the Armed Forces, and Friends of the Young Writers Workshop. More than 150 acclaimed actors have participated in these projects, including: Jake Gyllenhaal, Frances McDormand, Alfred Molina, John Turturro, Martin Sheen, Blythe Danner, Jesse Eisenberg, Kathryn Erbe, Paul Giamatti, Charles S. Dutton, Terrence Howard, David Strathairn, Amy Ryan, Debra Winger, Dianne Wiest, and Jeffrey Wright. Hailed by the Department of Defense as a “revolutionary public health campaign,” Theater of War is a groundbreaking project that presents readings of ancient Greek War plays—Sophocles’ Ajax and Philoctetes—in military and civilian communities as a catalyst for powerful, facilitated discussions about the visible and invisible wounds of war. To date, Theater of War has been performed for more than 75,000 service members, concerned citizens, veterans, and their families all over the world. Antigone in Ferguson presents dramatic readings by acclaimed actors of scenes from Sophocles’ Antigone—an ancient Greek tragedy about what happens when personal conviction and state law clash, and violence ensues—for a large, diverse audiences composed of concerned citizens, members of faith communities, and members of the law enforcement community, with the goal of generating powerful dialogue between these communities, fostering compassion, understanding, and positive action. Hercules in Brooklyn presents dramatic readings of scenes from Euripides’ Madness of Hercules—an ancient Greek tragedy about an unthinkable act of violence commitment by an angry man with an invincible weapon— for audiences composed of concerned citizens, members of the law enforcement community, victims and perpetrators of gun violence, and the general public, in order to generate powerful dialogue between these communities, fostering awareness and understanding of the lasting impact of gun violence upon individuals, families, and communities. Prometheus in Prison presents readings of Aeschylus’ Prometheus Bound for corrections professionals as a catalyst for guided discussions about the challenges of supervising and rehabilitating prisoners in both correctional facilities and in communities. The project has been performed in maximum security prisons in the US and UK and in the detention camps of Guantanamo Bay, Cuba. Doerries leads an evening of performance and dialogue examining Euripides’ Medea and Seneca’s Phaedra, two ancient plays that timelessly depict ho scorned passion can lead to revenge and, sometimes, unthinkable violence. Is Media mentally is, and, if so, how do we understand the chilling logic of her decision to kill her own children? What drives Phaedra to deceive her husband and attempt to seduce her stepson? In a world in which children are often the unwitting victims of dissolving marriage and predatory individual, how do we advocate for and protect the innocent? The Dionysus Project is an innovative public health project that presents readings of scenes from Euripides’ Bacchae, an ancient Greek play about the destructive power of intoxication, as a catalyst for town hall discussions about the impact of substance abuse and addiction upon individuals, families, and communities. The project engage audiences in crucial discussions about the timelessness of the human struggle with substance abuse and addiction, as well as resources and solutions that communities can utilize today. A related project presents readings of Conor McPherson’s one man play Rum and Vodka on military installations as a catalyst for town hall discussions about alcoholism, substance abuse, and addiction. Originally developed with the support of the National Institute on Drug Abuse, the Addiction Performance Project presents dramatic readings of Long Day’s Journey into Night, Act III in medical settings and in communities that have been devastated by substance abuse and addiction, as a catalyst for open discussions about impact of addiction upon individuals, families, and communities. The Domestic Violence Project is a public health project that presents dramatic readings of scenes from Tennessee Williams’ A Streetcar Named Desire as a catalyst for town-hall discussions about the impact of domestic violence on individuals, couples, children, caregivers, and communities. The goal of the project is to create a safe space for dialogue about abusive and manipulative behaviors, power struggles and violence, the lasting impact of experiencing or witnessing violence in one’s home, and the role of support systems in these circumstances. These performances, and the dynamic, interactive discussions that follow, are designed to evoke empathy, break down stigmas, and greatly reduce tolerance for manipulative behaviors and domestic violence. End of Life presents dramatic readings of Sophocles’ Women of Trachis, about the death of the Greek hero Hercules, as a catalyst for town hall discussions about the challenges faced by medical professionals and caregivers who work in the fields of palliative care, hospice, geriatrics, and nursing. The selected scenes from the two plays present emotionally charged, ethically complex situations involving suffering patients and conflicted caregivers, providing an ancient perspective on contemporary medical issues. The Book of Job Project presents dramatic readings from The Book of Job, an ancient Hebrew poem about how humans behave when bad things happen to good people, as a catalyst for audience discussions about the lasting impact of natural and manmade disasters upon individuals, families, and communities. Bryan Doerries is a writer, director, and translator. 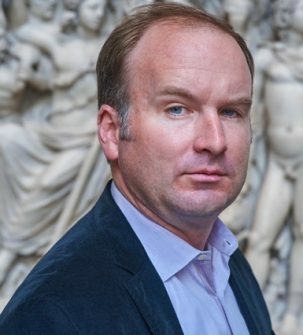 He is the founder of Theater of War, a project that presents readings of ancient Greek plays to service members, veterans, and their families to help them initiate conversations about the visible and invisible wounds of war. He is also cofounder of Theater of War, a social-impact company that uses theater and a variety of other media to address pressing public health and social issues, such as combat-related psychological injury, end-of-life care, prison reform, domestic violence, political violence, recovery from natural and man-made disasters, and addiction. A self-described evangelist for classical literature and its relevance to our lives today, Doerries uses age-old approaches to help individuals and communities heal after suffering and loss. He is the author of The Theater of War: What Ancient Greek Tragedies Can Teach Us Today, All That You’ve Seen Here is God, a volume of his translations of ancient Greek tragedies, and The Odyssey of Sergeant Jack Brennan, a graphic novel. Jack Brennan is a Marine Corps sergeant whose infantry squad has been cleared to return home from a grueling deployment to Afghanistan. A few years prior, Sergeant Brennan lost one of his closest friends—a young combat veteran—to suicide and has vowed to do everything in his power to keep his Marines from a similar fate. On their last night in-country, Brennan, who has long kept a tattered copy of the Odyssey with him on deployment, shares his version of Homer’s classic with his fellow soldiers to help prepare them for the transition back home. Brennan plunges into a rich retelling of Odysseus’s long journey home from the battlefield at Troy, during which Odysseus and his men confront numerous obstacles—from the lure of a psychedelic lotus plant to ghoulish shades in the Land of the Dead to the seductive songs of the deadly Sirens—as they try to make it back to Greece. Along the way, Brennan and his fellow Marines map the struggles faced by Odysseus and his men onto their own—isolation, addiction, guilt, depression, and loss. Through his retelling, Brennan reminds his squad that the gulf separating the battlefield from the home front is deep, wide, and sometimes hard to cross—that it is possible to travel all the way home and, like the characters in the Odyssey, still feel lost at sea. These contemporary translations of four Greek tragedies speak across time and connect readers and audiences with universal themes of war, trauma, suffering, and betrayal. Under the direction of Bryan Doerries, they have been performed for tens of thousands of combat veterans, as well as prison and medical personnel around the world. Striking for their immediacy and emotional impact, Doerries brings to life these ancient plays, like no other translations have before. 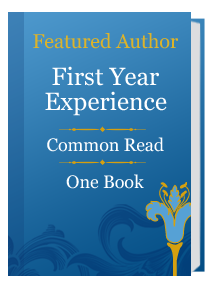 Drawing on these extraordinary firsthand experiences, Doerries clearly and powerfully illustrates the redemptive and therapeutic potential of this classical, timeless art: how, for example, Ajaxcan help soldiers and their loved ones better understand and grapple with PTSD, or how Prometheus Bound provides new insights into the modern penal system. These plays are revivified not just in how Doerries applies them to communal problems of today, but in the way he translates them himself from the ancient Greek, deftly and expertly rendering enduring truths in contemporary and striking English. Ajax tells the story of a formidable Greek warrior who loses his friend Achilles in the ninth year of the Trojan War, falls into a depression, is passed over for the honor of inheriting Achilles’s armor, and attempts to kill his commanding offers. Feeling betrayed and overcome with blind range, Ajax slaughters a herd of calve, misting them for his so-called enemies. When he finally realizes what he has done—covered in blood and consumed with shame—he takes his own life by hurling his body upon a sword. The play was written nearly twenty-five hundred years ago by a Greek general and was performed in the center of Athens for thousands of citizen-soldiers during a century when the Athenian saw nearly eighty years of war. And yet the story is a contemporary as this morning’s news. According to a 2012 Veterans Affairs study, an average of twenty-two U.S. veterans tae their own lives each day. That’s almost one suicide per hour. I stepped closer to him and asked, “What is morale-boosting about watching a decorated warrior descend into madness and take his own life? The soldier had highlighted something hidden within Ajax: a message for our time. Sophocles didn’t whitewash the horrors of war. This wasn’t government-sponsored propaganda. Nor was his play an act of protest. It was the unvarnished truth. And by presenting the truth of war to combat veterans, he sought to give voice to their secret struggles and to covey to them that they were not alone.